We appreciate Bowen Municipal Council’s recommendation (as noted in a letter from Mayor Adelaar to Front Counter BC dated March 27, 2014) that an application to rezone the water area for a dock for public use at Seymour Bay be submitted. Our rezoning application in May 2014 and amended in September 2014 is, in part, is a response to that recommendation. 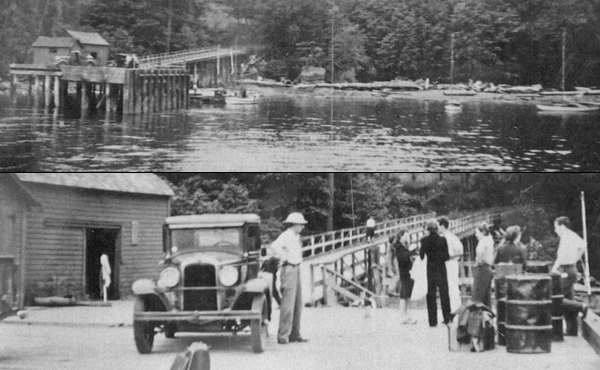 The dock will not be as large as the historic government dock shown in the photos above because the passenger ferry will be quite a bit smaller than boats that landed at the historic dock.